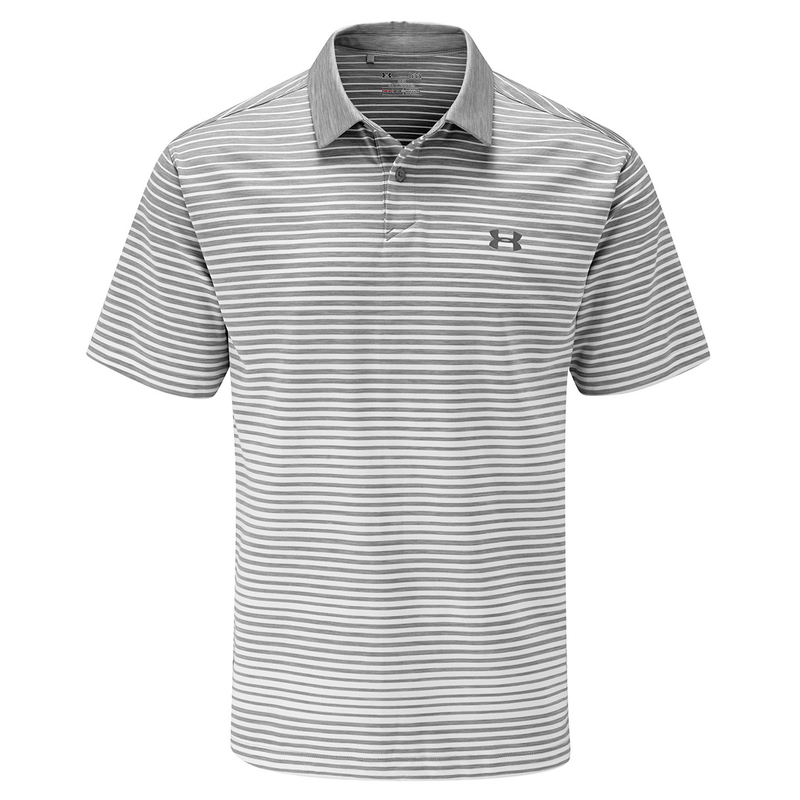 Stay cool, look great and perform your best when wearing this superb polo shirt from under Armour. 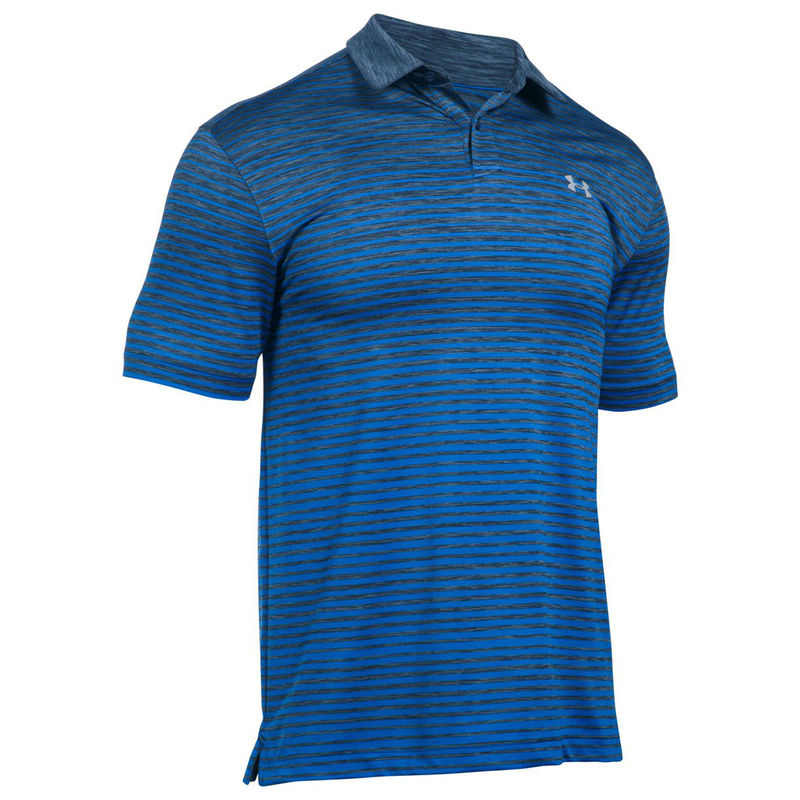 Perfect for warmer days on the golf course, this polo shirt benefits from a Moisture Transport System to keep you dry and comfortable. The UA CoolSwitch uses an exclusive coating on the inside that pulls heat away from your skin, making you actually feel cool and be able to perform longer. 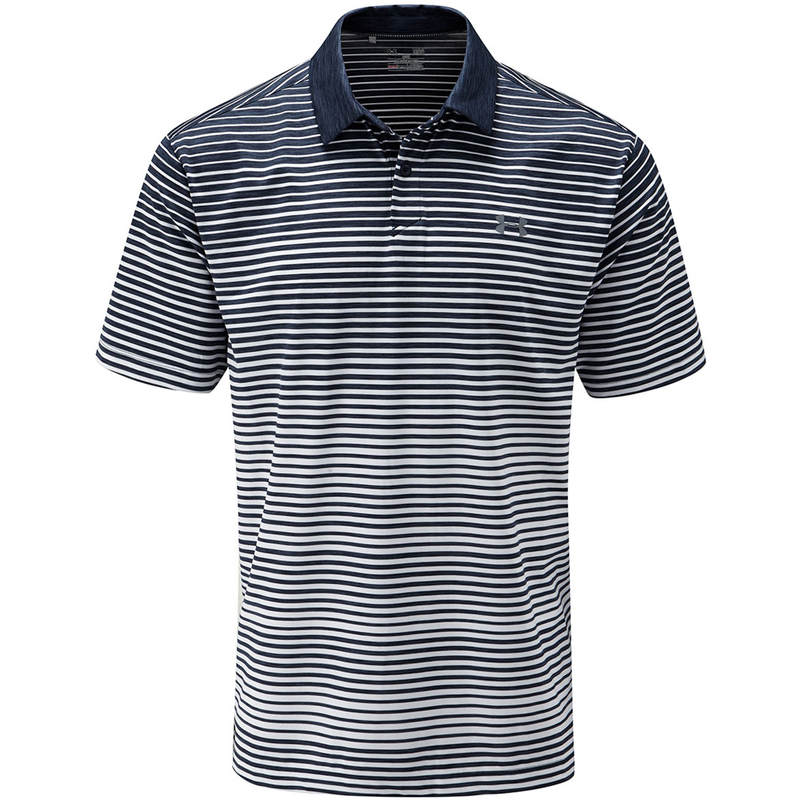 This polo will last for many rounds of golf thanks to the anti-odour technology which prevents the growth of odour causing microbes. The materials also feature 30+ UPF to protect your skin from harmful sun rays. The design is complete with a modern 2 button placket and iridescent foil logo.